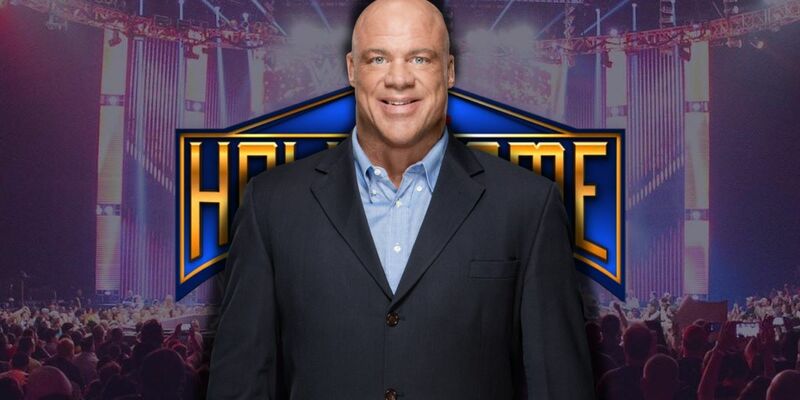 Kurt Angle spoke about if he had any regrets with his last WWE run and the outcome of his retirement match at WrestleMania 35 against Baron Corbin. When Angle returned to WWE in 2017, he was slotted into the RAW General Manager role, which didn't allow for much wrestling. Angle noted he wished he had kept active in the ring as his body really began to slow down during that time period. "Yes, I wish I would have wrestled more when I came back in early 2017," Angle responded. "I was wrestling really well then. Because of my inactivity of being GM, my body started to get arthritic. I got tighter, more sore, and less flexible than when I was active two years ago. In other words, the inactivity of not wrestling consistently led me to retirement a little faster. But, I can't complain. I loved doing what I did in WWE." Another fan asked Angle if he could change the outcome of any of his matches, which would he pick? Angle spoke about his retirement match at WrestleMania 35 against Corbin. Although, Angle would have liked to get one last win, ultimately he knew the right thing to do was putting over younger talent on his way out. "Honestly? My Wrestlemania 35 match. I would have liked to go out with a win, but I understand why it didn't occur. Many people believe that I should have had a different opponent. Maybe. Maybe not. But my argument as to why it should have been Corbin is pretty strong. As a HOFer and Legend in WWE, I came to my final match last Sunday. It was my retirement match. "As a legend, or HOFer, or whatever you want to call me, my job is to leave the WWE by doing the honors for a younger talent. I did that. I would have loved to have won, but I don't think I would have properly played my role if I did. You leave the company better than it was before you came. I think I was able to do that by losing to Corbin and then getting laid out on RAW the next night to Lars. It may have felt wrong, but it was the right thing to do. Agree to disagree."